Willie Robertson, of Duck Dynasty fame, spoke at Grace College’s Manahan Orthopaedic Capital Center on Friday. An article about the event appeared in the Times Union Online. A portion of the article, entitled Willie Robertson Attributes Success To Being Authentic, is below. 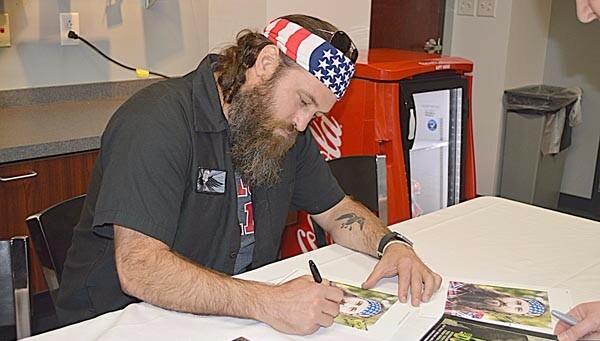 WINONA LAKE – For the second time in less than three months, a “Duck Dynasty” star came to the Winona Lake/Warsaw area to speak. On Friday, Willie Robertson, the CEO of Duck Commander and star and executive producer of A&E’s “Duck Dynasty,” spoke twice at the Manahan Orthopaedic Capital Center at Grace College – in the morning to Grace students for Career Week and at night to the public (Jase Robertson spoke at a private Christmas party for Wildman Business Group at Warsaw Community Church Dec. 9). In between his two speaking engagements Friday, Robertson held a press conference with local media, who asked him about everything from his beard and the show to career advice and President Trump. He said what he tried to share with the students Friday morning was some career advice. He said one never knows what God has planned for them.